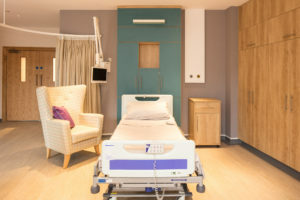 In Spring 2018, WorkSpace completed an FF&E package for St. Andrew’s Hospice in Airdrie. 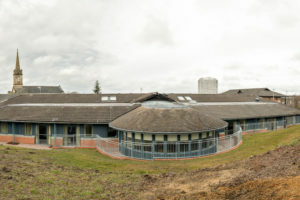 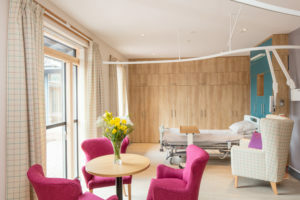 The £9m refurbishment project brought delight to the Hospice fundraisers as they were presented with a beautiful, new state-of-the-art facility fit for the 21st century. 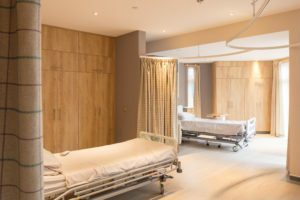 An advancement in technology, improved visitor facilities and courtyard garden access from every room ensures patients feel comfortable in their surroundings. 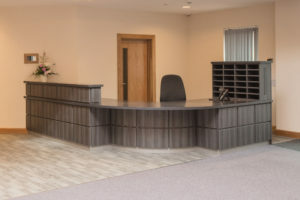 A curved reception counter with Corian® top in Anthracite, fitted wall cabinetry, shelving and cubicle tracking were completed as part of this project.